Virginia M. Stianchie, 92, formerly of Nesquehoning, entered into eternal life Tuesday, November 20, 2018 in the Mahoning Valley Nursing and Rehab Center, Lehighton. She was the wife of the late Anthony Stianchie who passed away June 11, 1965. Born in Nesquehoning, she was a daughter of the late Nicholas and Mary (Evanko) Hunadi. She was a graduate of Nesquehoning High School Class of 1944 and was employed as a bookkeeper for many garment factories in Nesquehoning until retiring. She was a memberof the former Immaculate Conception Church/St. Francis of Assisi Catholic Church, Nesquehoning, where she loved to sing as a member of the church choir. 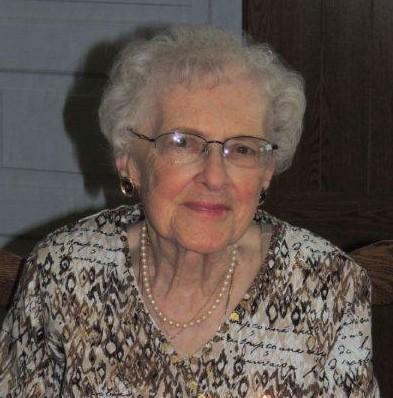 Before passing, she was a member of St. Joseph Parish of the Panther Valley, Summit Hill. In addition, Virginia was a member of the Golden Agers Club and Choir, the Catholic Daughter of America, the VFW Post 8008 Ladies Auxiliary, and a past officer for the Slovak Catholic Sokol. Virginia was very active in the Carbon County Senior Games where she won numerous medals. All family and friends knew her to be a devout Roman Catholic and to love music, singing, and dancing. Surviving are daughters Gina Kanick and her husband Edward of Summit Hill and Martha “Toot” Lisella and her husband Larry “Enzo” of Jim Thorpe; a son George and his fiancée Marilyn of Summit Hill as well as a sister Martha Kociscin and her husband Joseph of Piscataway, NJ. Her grandchildren include Christina “Kanick” Donadi and her husband Anthony, Anthony Kanick and his wife Tricia, and Ryan Kanick as well as Mary, Lydia, and Anthony Stianchie, and Daniel Lisella. Virginia was also blessed with a great granddaughter Brynn Kanick. She was preceded in death by a brother Andrew Hunadi. A Mass of Christian Burial will be held Monday, November 26, 2018 at 11:00 A.M. in St. Joseph Church of the Panther Valley, 462 W. Ludlow St., Summit Hill with Rev. Allen Hoffa officiating. Interment will take place in the Ss. Cyril and Methodius Cemetery, Nesquehoning. Viewing 9:30-11:00A.M. in the Church. In lieu of flowers, donations will be accepted in her name to the church. The Joseph S. Blazosky Funeral Home has been entrusted with the funeral arrangements. Online condolences atwww.blazoskyfh.com.